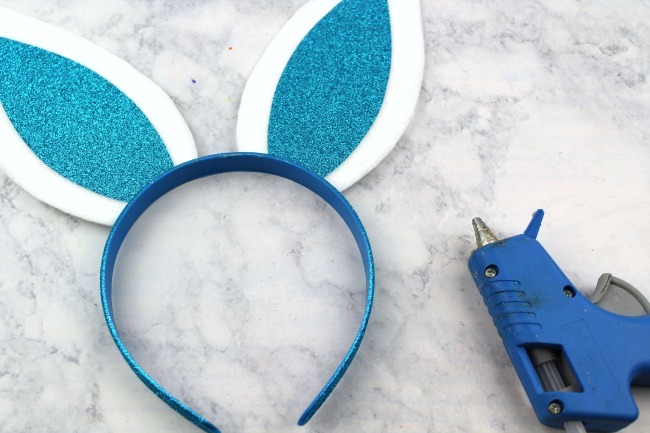 Dress up your little bunnies this Easter with these adorable DIY Bunny Ears! 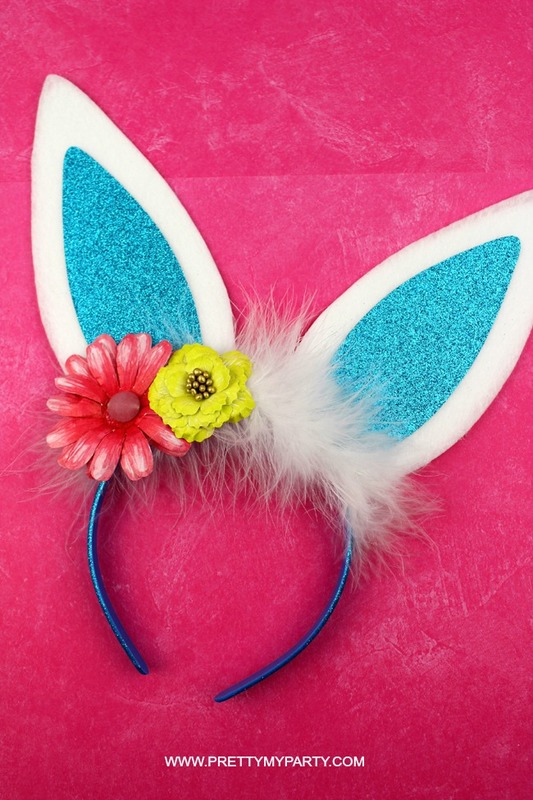 If you’re on the hunt for fun Easter projects, check out this adorable Bunny Ears Headband. 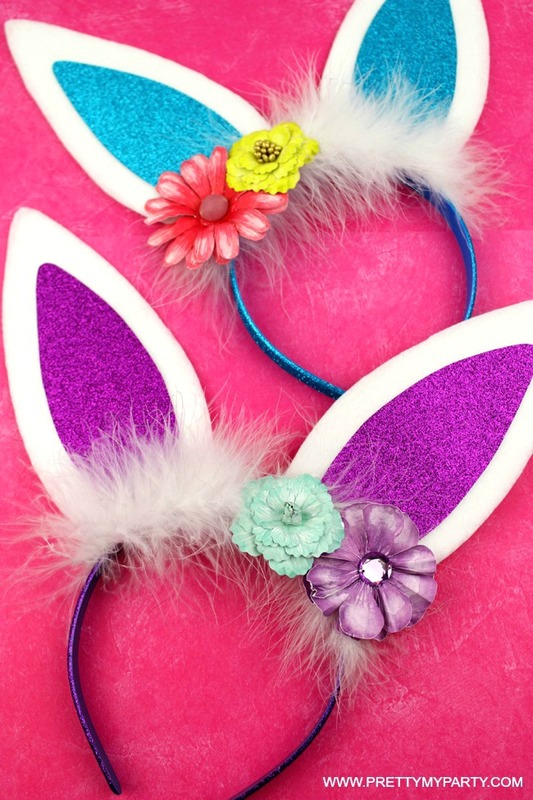 This Bunny Ears Headband DIY is such a fun Easter craft. It’s quick and easy and your little ones can help make them too! We even supply you with a free Bunny Ears Template below. 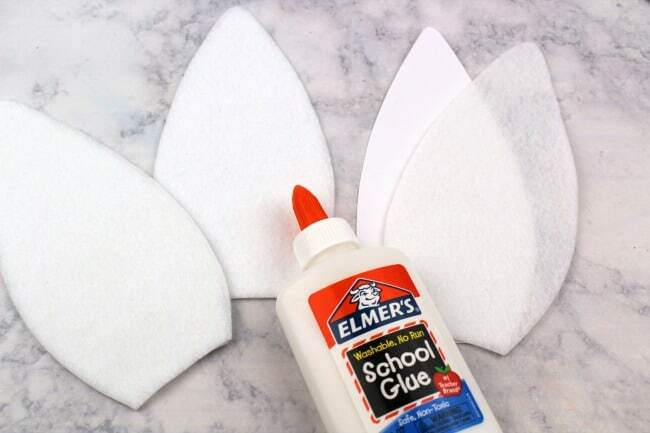 These DIY Bunny Ears make a great costume or accessory for the kids. 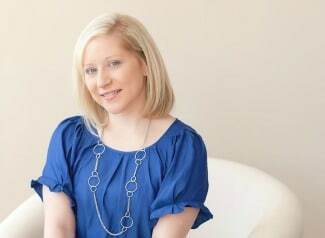 You can even surprise the kids with these headbands on Easter morning! 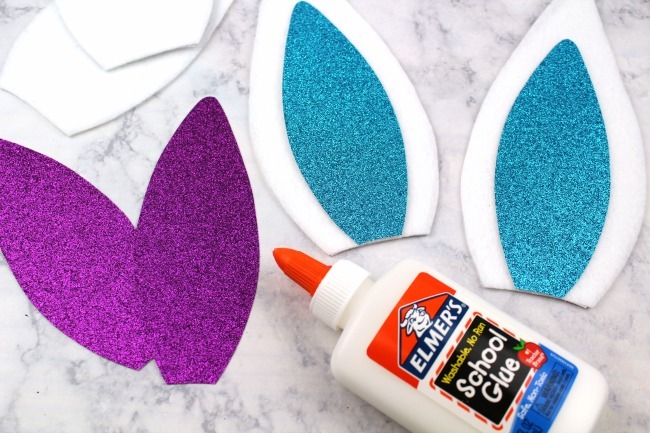 The kids will have a blast wearing these DIY Easter Bunny Ears at all of the Easter egg hunts this year! Make sure to get out your camera and take some “EGG-cellent” Easter photos! Easter is a wonderful holiday for families. The weather is looking up, the flowers are blooming, the birds are chirping, and the sun is shining. Easter is also a fun holiday for the kids. Many parents have Easter family traditions or start new ones for their kids. There a number of ways you can have fun with the kids this Easter. 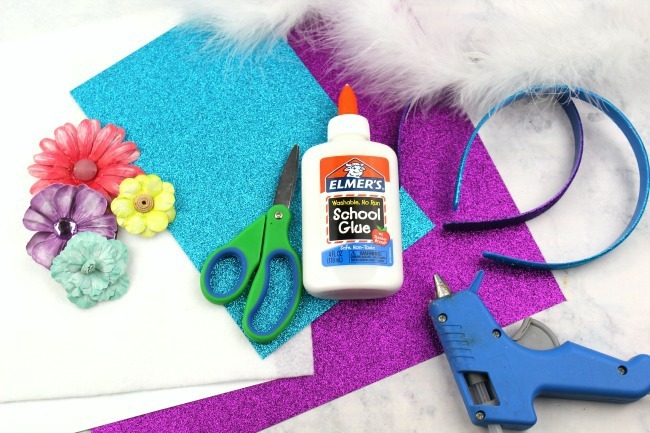 In addition to crafting these adorable DIY Bunny Ears, there’s also a variety of Easter games and activities you can enjoy as a family. What are your favorite Easter family traditions? Do you play games together or organize a big egg hunt? Let us know in the comments below! 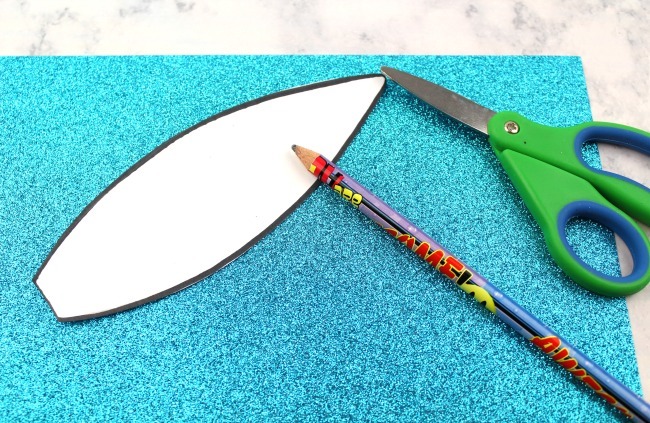 Now, let’s get to our fun Easter craft – the DIY Bunny Ears! 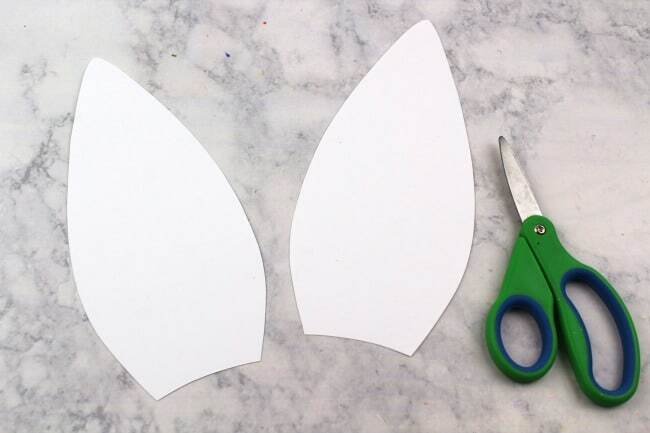 Next, take your scissors and cut the template out on white cardstock paper. 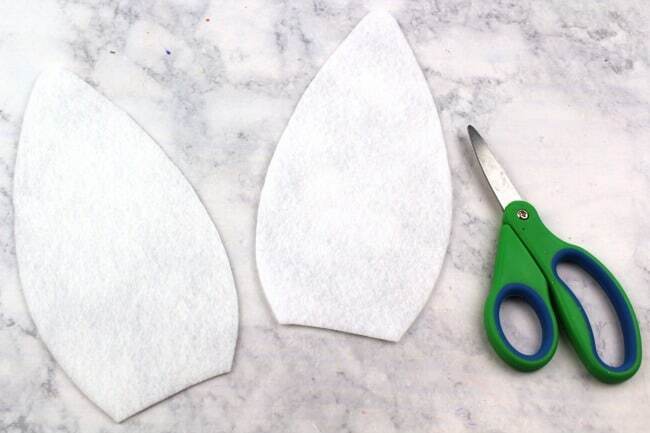 Next, take your glue and glue the white felt onto the white cardstock paper. Now, cut out the inner piece of the ear template and trace onto the glitter cardstock. Do this two times making sure to flip it over for the second ear. Then cut it out. Next, glue the ears onto the headband. Leave 1 inch of space between both ears. Now the fun part! Glue marabou feathers and colorful flowers onto the front of the headband. Your bunny ears are complete and ready to wear. 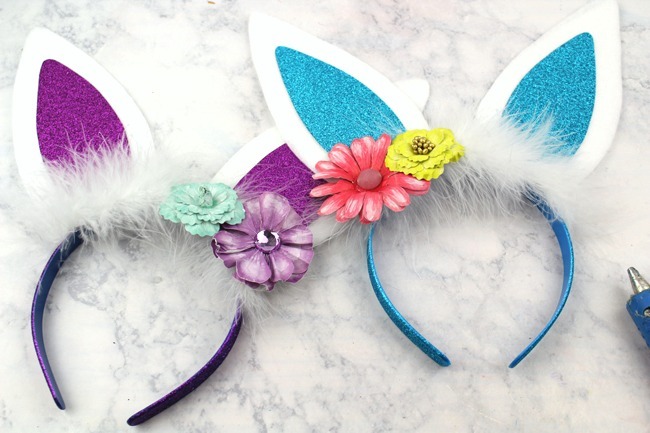 It’s as simple as that for this fun DIY Bunny Ears Headband Craft! What do you think? 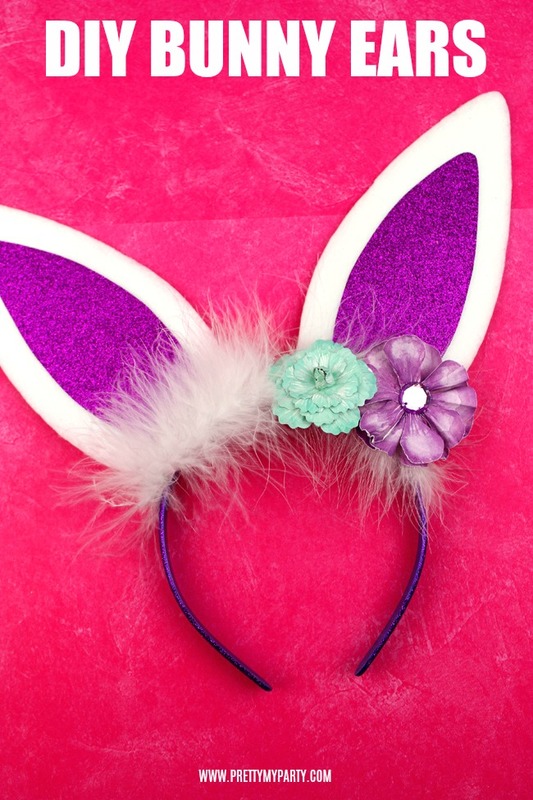 Will you make these adorable DIY Bunny Ears? Let us know in the comments below! 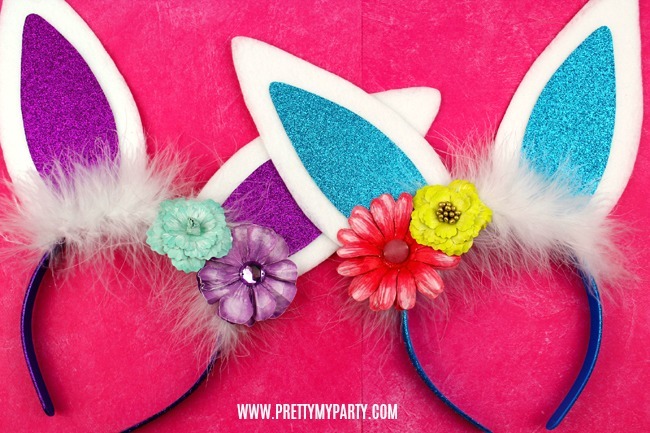 If you love these DIY Bunny Ears, pin this project on Pinterest and share with your friends! Happy Easter! For more holiday and party ideas, follow us on Instagram @prettymyparty and Pinterest and join us in our private Facebook group. My daughter is going to go crazy when she sees this. My kids asked me to make them bunny ears this year and I’ve been toying with some designs, but nothing as fancy as yours.